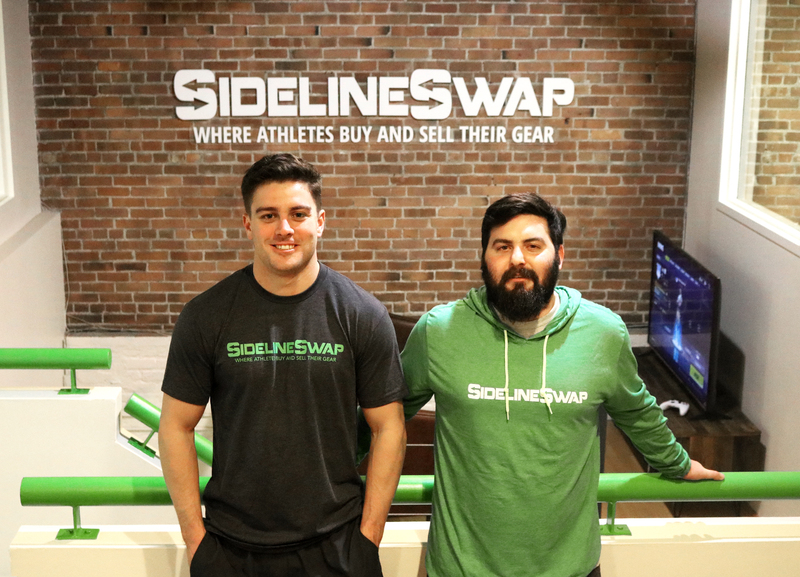 BOSTON, April 24, 2018 – SidelineSwap, the online marketplace where athletes buy and sell sports gear and equipment, today announces a $5 million Series A financing round led by Global Founders Capital, with participation from NBA legend David Robinson’s Admiral Capital, Peak6 Sports, RiverPark Ventures, FJ Labs and The Player’s Impact—a syndicate of professional athletes and Olympians. This round brings the company’s total funding to $8.9 million—$7.1 million raised in under a year. The sporting goods industry is the latest retail sector that’s ripe for disruption. With bankruptcies from big players, including Sports Authority, City Sports and Golfsmith, the $120 billion industry is pointing toward SidelineSwap’s online marketplace and value proposition. SidelineSwap tops competitors in the space like eBay and Amazon with more used inventory available for sale in their top sports. Similar to fast-growing marketplaces in other categories, like Poshmark, Reverb and Etsy, SidelineSwap is poised for success with its early traction and this latest round of financing. "Sidelineswap has become the leading digital peer-to-peer marketplace dedicated to sporting goods. At GFC, we are excited to be SidelineSwap's partner for this next phase of growth" says Ludwig Ensthaler, partner at Global Founders Capital who led the round of financing. Since launching in 2015, the company has quickly gained traction with young athletes, who value the friction-free, mobile-first, selling experience and the average discounts of 40% on quality used and new gear. 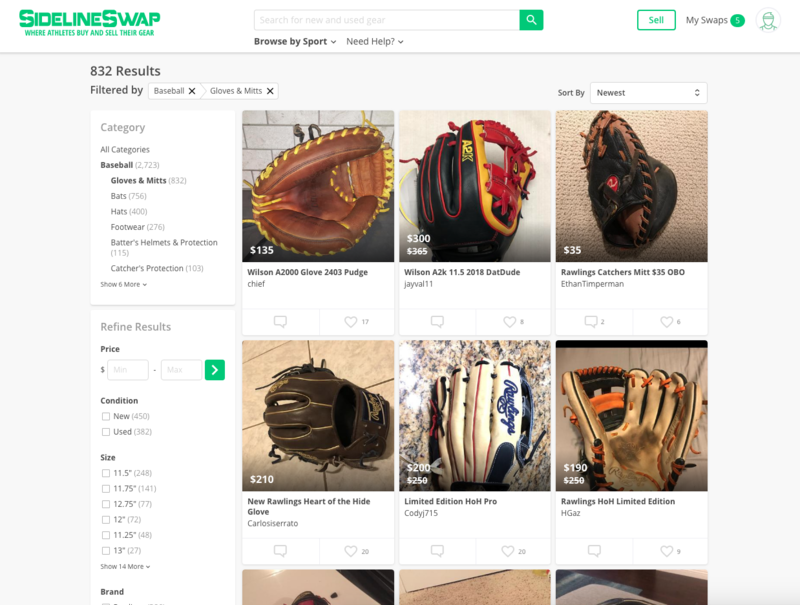 The vast majority of users on SidelineSwap are selling online for the first time which means they’re providing access to inventory and prices you can’t find anywhere else. More than 200,000 athletes have joined SidelineSwap to date, driving three straight years of triple-digit growth. Sellers on SidelineSwap are already having tremendous success, with some sellers earning upwards of $250,000. Eric Fanelli, a hockey dad from Connecticut, turned selling on SidelineSwap into a full-time job by partnering with local college, club and professional hockey teams, including the Detroit Red Wings minor league team, to source and sell “pro-stock” inventory designed especially for pro and college athletes. “SidelineSwap is delivering a superior consumer experience to athletes and represents a powerful new channel for sellers of all kinds,” says Reid Snyder, Managing Director at Peak6 Sports, a sports and technology venture capital firm that has participated in all three rounds of SidelineSwap funding. “By bringing a scalable and much needed solution to the sporting goods and apparel vertical, they've unlocked a significant growth opportunity." 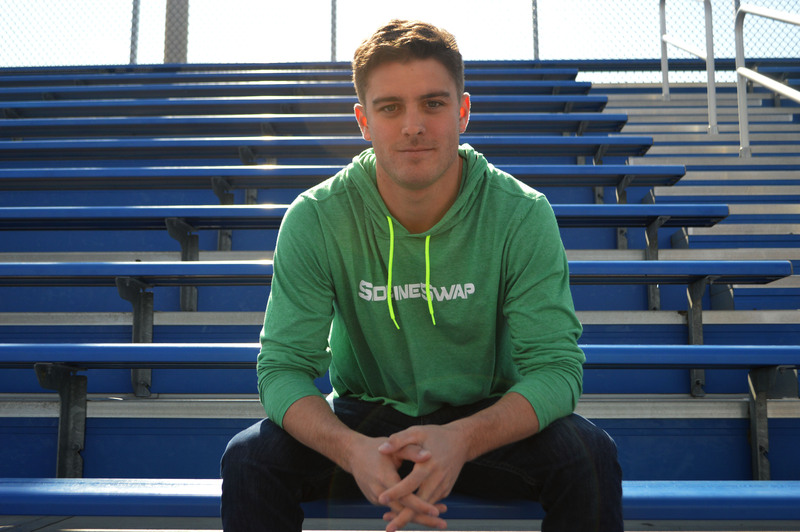 This Series A funding is SidelineSwap’s third round of financing. The company previously raised a $2.1 million seed extension in fall 2017, and a $1.8 million seed round in spring 2016. For more information about SidelineSwap, please visit sidelineswap.com/about or download the iOS app. 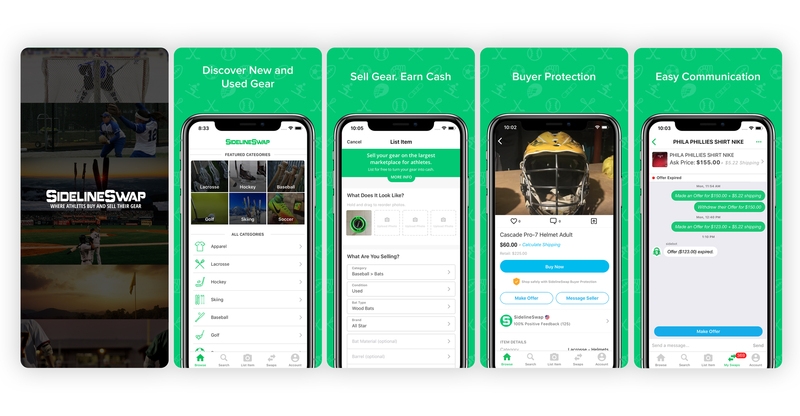 Founded in 2015 by division 1 athletes who had experienced the frustration of buying expensive gear, SidelineSwap is an online marketplace that allows athletes, regardless of age, to buy and sell new and used gear for sports like lacrosse, hockey, baseball, skiing, golf, soccer, softball, football, basketball and snowboarding. The team’s mission is to empower athletes by making gear more affordable. For more visit sidelineswap.com. Brendan is the co-founder and CEO of SidelineSwap. Before starting SidelineSwap he was played and coached Division 1 Lacrosse at Holy Cross.